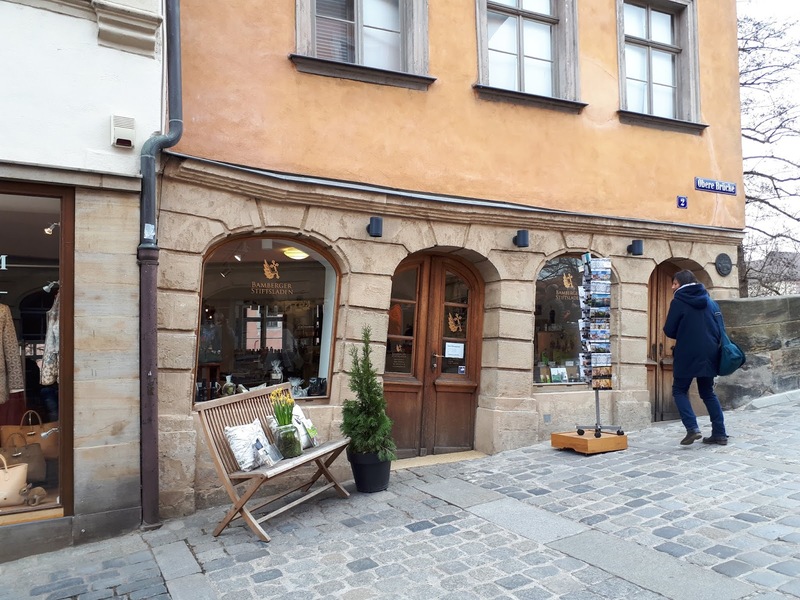 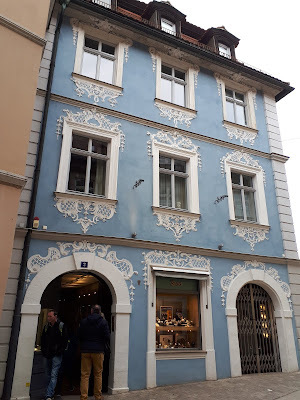 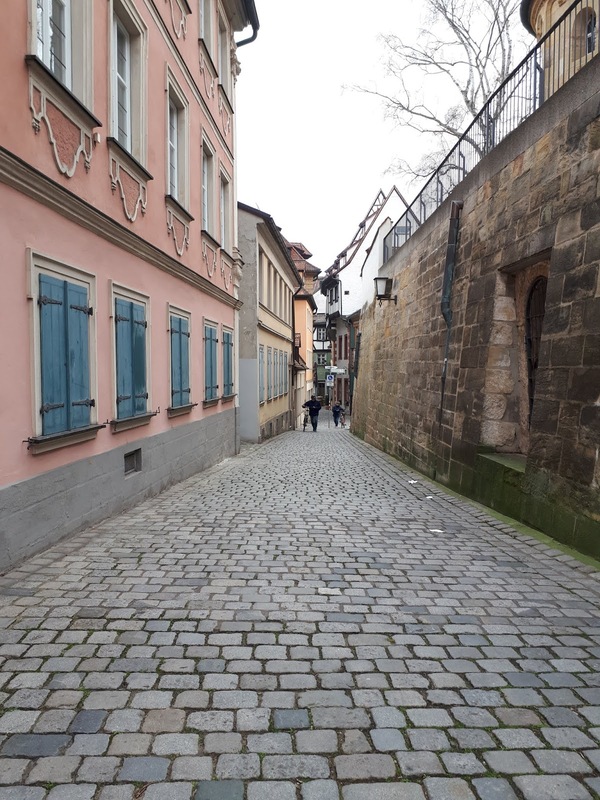 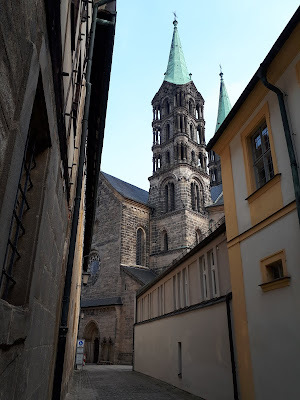 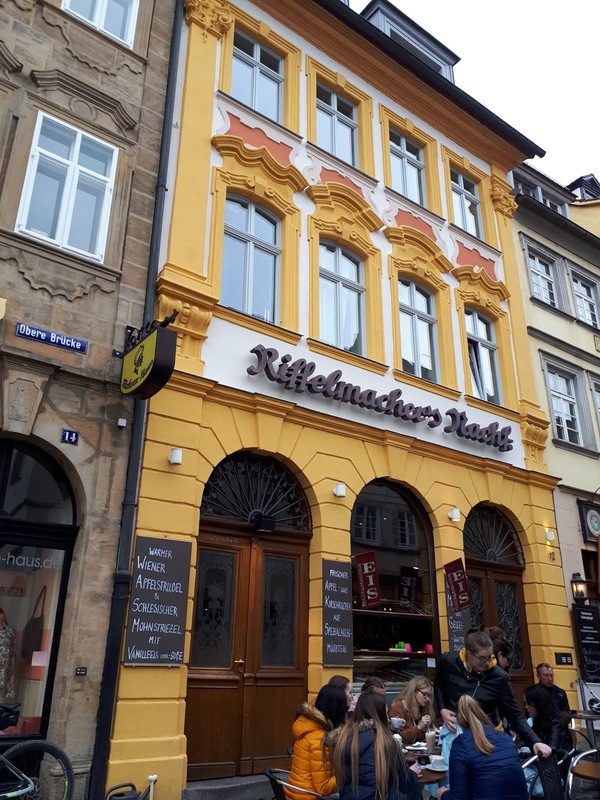 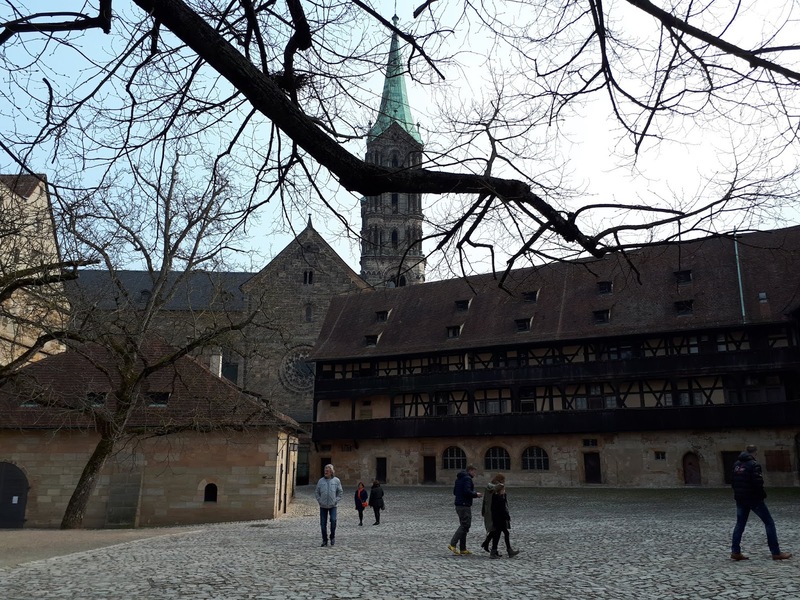 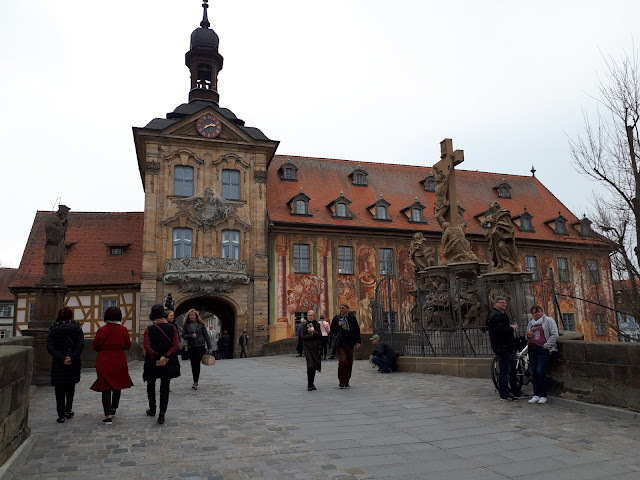 One of my kids recently had some appointments in Bamberg, Germany, so I had the opportunity to wander around the town. 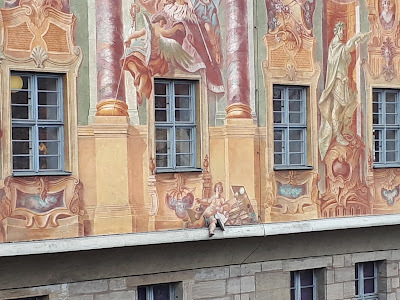 I've been to Bamberg before, but it had been a while and I'd forgotten how fascinating Bamberg is. 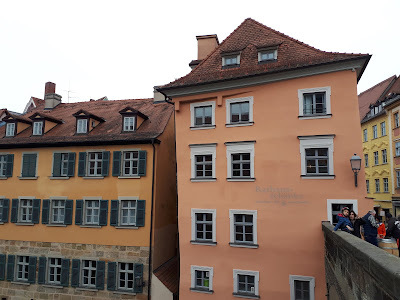 We had some pretty dreary weather, but I'd still love to show you around! 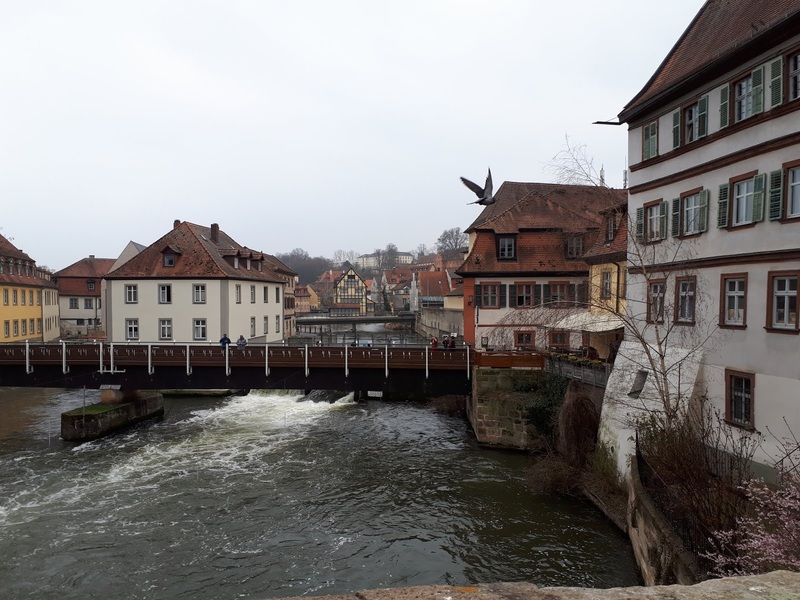 Caught a bird in flight on this shot! 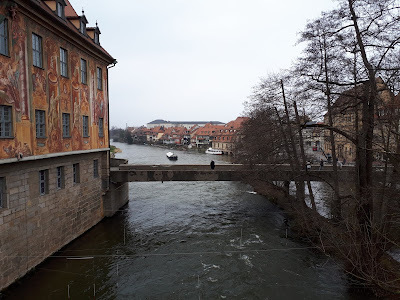 Do you see the faces on this bridge? 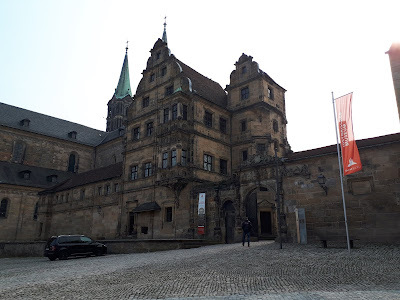 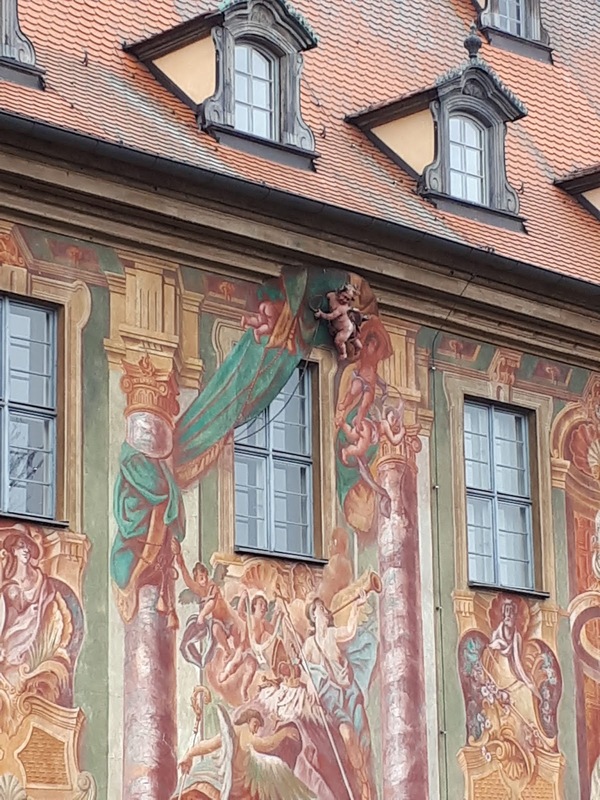 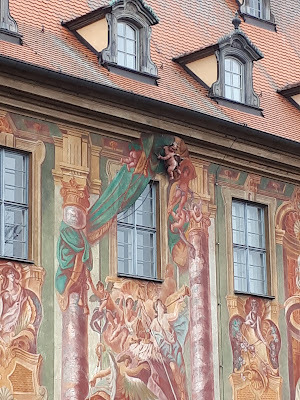 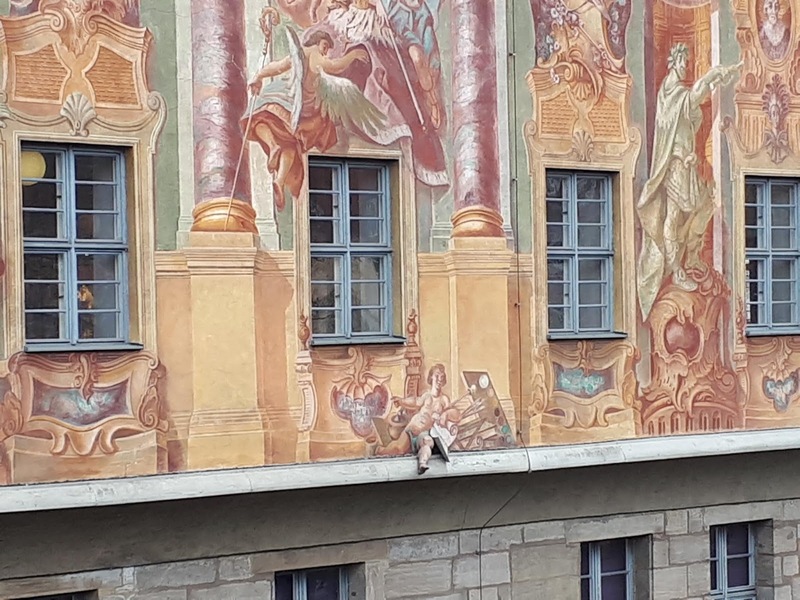 There's so much more to see in Bamberg - hopefully, I'll get the chance to show you more sometime! 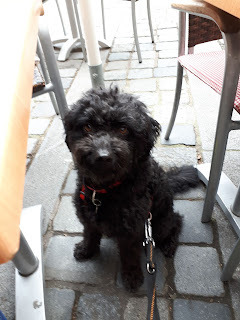 My dog being a VeryGoodBoyTM at an outdoor café.